These DIY Easter Surprise Eggs are super fun to make! 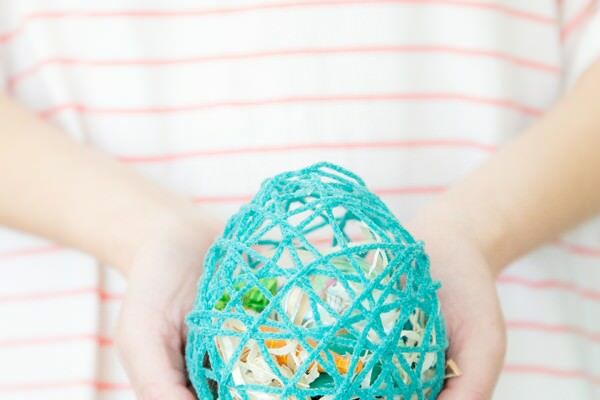 Using balloons, a messy glue mixture and yarn, we created an egg shape that’s perfect for stuffing with special Easter treats like chocolate carrots and tiny bunny globes! They’re perfect for Easter brunch or dinner to place on a table setting as an addition to the charming decor. For adults, fill it with delicious chocolates and for kids, throw in some toys and fun Easter surprise treats!